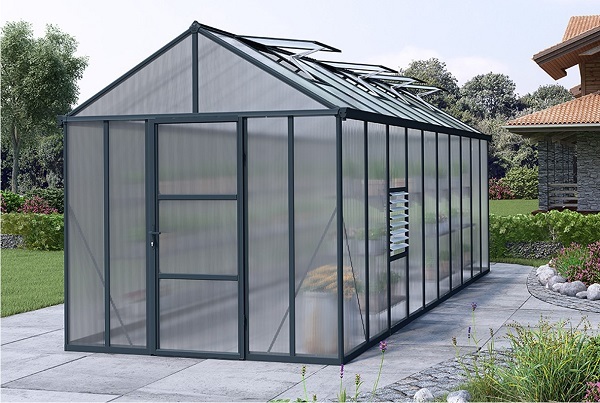 With a great greenhouse comes great responsibility, and Palram has made a great one with the Glory 8 x 20 Greenhouse. This large greenhouse is 159 square feet of growing space housed in a corrosion resistant structure. The ten-millimeter twin-walled roof and roof panels block 99.9% of harmful UV rays while also having a snow load of 20 pounds per square foot. 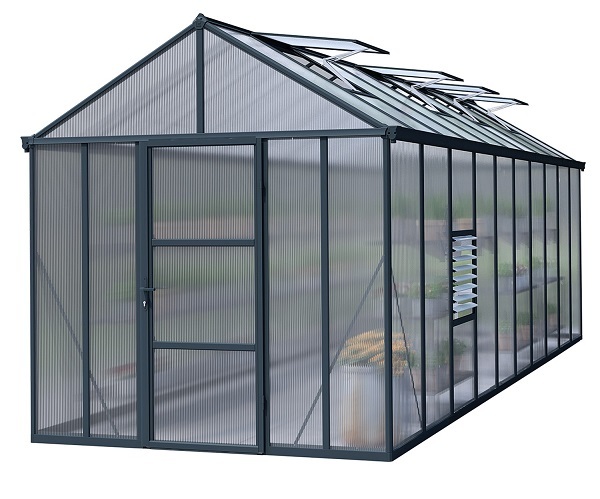 This greenhouse is just another example of the quality you can expect from Palram.